Very nice, and simply explained article, sir. But shouldn’t there be a vector variable as an argument in llEuler2Rot in your first script? The only thing I’d love to know, to make life complete, is how to make a double door. 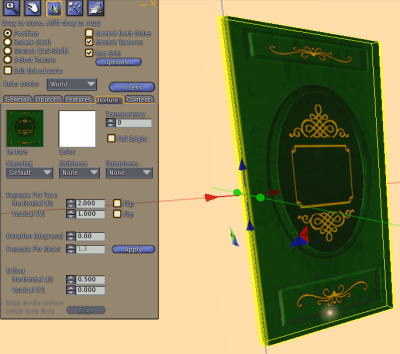 Is there any easy way to tweak the single door script to make it a double door script? 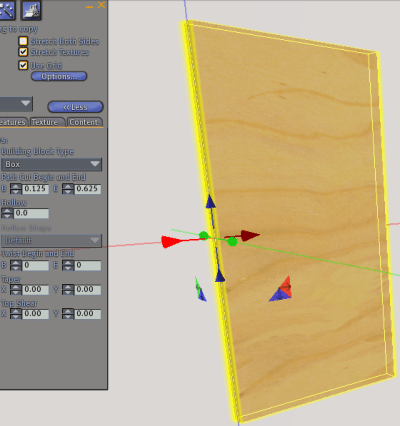 Ok I like this lil door script… works well for house doors… but try this on for size… What if……. AND… You want it to be able to be lockable by the owner and his/her designated people…. in other words, a prison cell door on a moving high prim, hovering vehicle. Any ideas how to pull that off? I made a sliding door and it worked, but i need to make one that slides along the Y axis instead. 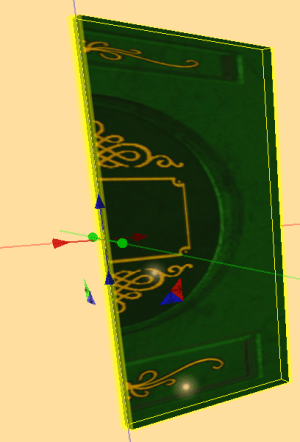 I tried going into the script and replacing x’s and y’s… but that made the door go diagonally and far away when i tried to open it… what am I doing wrong? @ James… Do not just go randomly replacing stuff… change one thing at a time to see what it does. I suggest no more than say a meter from where it should be. ALWAYS make your changes when the door is in its closed position. As for my own comment of last year, I figured it out. I ended up making Jabba’s sail barge. I had to stop selling it this year on xstreet cause they claimed it was copyright infringement… as if the other 10,000 star wars related creations are not? This was a base to exactly what I was looking for. I modified it to initially raise along the z axis (as a castle gate entrance). 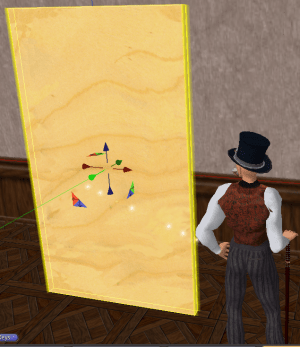 No more akward twirling doors for me even after they’ve been linked to the structure, rotated in every direction (while still attached), unlinked, rotated again (by itself) and re-linked. Works Great! Thank you. Can you make a sliding door that will know which direction to slide no matter which direction a house is rezzed or rotated in?